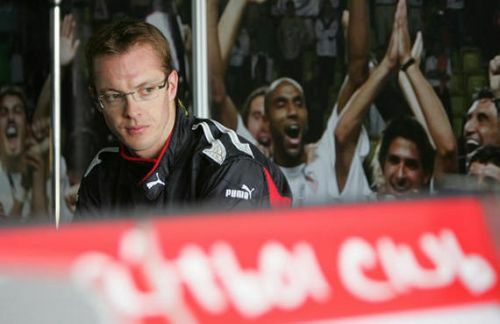 After spending 2009 learning the ropes in Superleague Formula by Sonangol, Olympique Lyonnais returns for another crack this season with a new driver – Frenchman Sebastien Bourdais – and a new team – Laurent Redon Motorsport. Although Laurent Redon Motorsport will be making its debut in the championship alongside 17 other identical single seaters powered by a 750bhp V12 engine, they can at least count on the experience of Bourdais who made an impressive series debut midway through 2009. The ex-Toro Rosso F1 driver and four-time Champ Car champion joined the grid with immediate success last year, winning the Super Final five lap shootout on debut in Estoril in the colours of Sevilla. The Frenchman then continued that winning streak in Monza, before also bagging a pair of podiums in Jarama. Now working with Laurent Redon Motorsport, Bourdais has his sights firmly set on continuing that string of impressive results in the colours of Olympique Lyonnais. The French club, which holds the league record for winning seven consecutive domestic titles, will come up against fellow Ligue 1 rivals FC Girondins de Bordeaux, the reigning French champions and newcomers to Superleague Formula this season. Indeed, the pair are set to clash on the pitch today in the Champions League quarter-finals, a match that Bourdais and Team Manager Laurent Redon have been invited to attend. On-track, Olympique Lyonnais will also face stiff opposition from a raft of international clubs such as Liverpool, AC Milan, AS Roma, PSV Eindhoven, RSC Anderlecht, Sevilla, Corinthians, Flamengo and FC Porto. The planned showdown at Magny-Cours between the two French sides on May 22/23 promises to be one of the highlights of the season with Bourdais and Lyon set to go up against Bordeaux and its ex-F1 driver Franck Montagny. Laurent Redon, Team Manager Laurent Redon Motorsport: “I am delighted to be committing to Superleague Formula. This is not another promotion formula, but a category which claims the status of a championship for professional racing drivers. 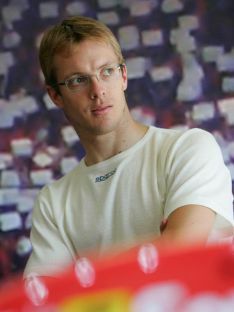 Signing Sebastien Bourdais was a significant step as we have one of the best current drivers behind the steering wheel. In addition to this, he has experience in this championship where he debuted last year achieving instant success. Alex Andreu, Superleague Formula President: “Last season, the arrival of F1 drivers such as Sebastien Bourdais gained the Superleague Formula concept greater recognition and status. We are proud to see that Sebastien has again been seduced by our championship and that he will be racing with us this year. He will race under the colours of Olympique Lyonnais, a French club with a substantial number of titles in national football. The season, which includes 12 races, 11 of which will be held in Europe, begins this weekend at Silverstone, UK. Brands Hatch tickets now on sale ! The game now available !